Due to an excellent service and experience from being on the charter market for more then 10 years, Ban Tours Yachting has grown into one of the most famous yacht charter companies in Croatia. Whenever we need them, MMK team is always here for us. From the very beginning when we have started using MMK system until today, we are very satisfied with everything: from the support to quick assistance when help is needed. The constant development and often improvement of the program help us in managing our daily operations even better. Due to an excellent service and experience from being on the charter market for more then a decade, Ban Tours Yachting has grown into one of the most famous yacht charter companies in Croatia. They started a charter business in 2008 with 10 brand new Dufour yachts and their fleet is growing every year since then. Ban Tours is an exclusive Dufour dealer for Croatia since 2012. Result of their partnership is all own fleet which consists of 47 Dufours sailing yachts available from Marina Frapa, Rogoznica. Thanks to Ban Tours professional team, all boats are kept in excellent condition and equipped according to the modern standards. Their team has 16 very friendly and helpfull employees who welcome their guests with a smile and with a great service. Ban Tours Yachting became Booking Manager partner when they started a charter business in 2008. Since then, their team has been discovering program functions that made their work much faster and efficient. One of the features they are using the most is Agency financial performance report where they can check at one place how the booking is going each year. "For us the country where the agents or clients come from is a very interesting information." - says Klara. Thanks to agency report, they can check which agent booked them the most, from which country that agent is, compare the results and create their own marketing campaigns per each country. Also, the System enables them to give special discounts for selected agent groups from their adressbook. This way Booking Manager becomes an important tool for sending newsletters, tracking results of campaigns and achieving even better marketing visibility online. The promotion of a fleet is a great importance for every charter operator and their marketing. 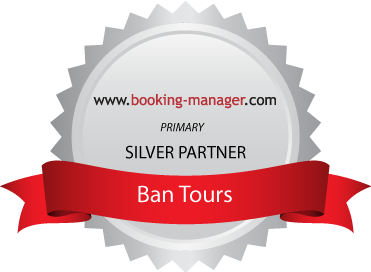 That is the reason Ban Tours team started to use an easy way to send professional newsletters directly from Local Booking Manager program. Booking Manager provides them the integration with MailChimp, an email marketing service provider that has 7 million users. This integration helped them to choose between 100 templates, send separate emails to unlimited number of recipients and check who opened them, clicked inside or forwarded to a friend. One of the most important guidelines for this charter operator are guests comfort and relaxation. In order to comply with environmental trends and provide the best service they have enlarged fleet for 2 electric cars which main task is to drive clients and luggage from the offices directly to the pear. With constant presence on Boat Shows worldwide and their fast growing fleet, Ban Tours Yachting is one of the most reliable charter operators with a large selection of services. For more information check Ban Tours Yachting website.